Can you imagine a world without Christmas? What about Christmas without carols? Although not everyone celebrates Christmas for the same reason, the evolution of holiday music has evolved dramatically since the Middle Ages and early 1700’s. Christmas songs became increasingly popular when composer George Frideric Handel published his book of Christmas Carols. Songs from the century like: “Joy to the World,” “Angels We Have Heard on High,” and “O Come, All Ye Faithful.” Dated back to the pre-1700’s, music was an early feature of the holiday season and its festivities. “All my Heart this Night Rejoices”: This piece written by J.G. Ebeling (1637-1676), is a sermon on the meaning of Christmas, and a deeply devotional meditation on what Christmas is all about. It is deeply realistic, and anchors the singer in the solid hope and joy that comes in and through Christ Jesus. It is a powerful assertion of the Gospel. “Silent Night”: Silent Night, is a popular Christmas carol, composed in 1818 by Franz Xaver Gruber to lyrics by Joseph Mohr in the small town of Oberndorf bei Salzburg, Austria. The song has been recorded by many singers from every music genre. The version sung by Bing Crosby is the third best-selling single of all-time. “Joy to the World”: The words and lyrics of the old Christmas carol “Joy to the World” was written in 1719 by Isaac Watts. “Joy to the World” is a popular Christmas carol which is based on Psalm 98 in the Bible. The words written were based on the second half of Psalm 98 in the Bible. You will see nothing about shepherds, a manger, wise men, angels, or any other character or element that we normally associate with the Christmas story. As a paraphrase of Psalm 98 regarding “The Messiah’s coming and Kingdom,” it is to promise to “judge the world with righteousness and the peoples with equity.” The original theme of this song was the second coming of the Lord. Carols were first sung in Europe thousands of years ago, but these were not Christmas Carols. They were pagan songs, sung at the Winter Solstice celebrations. The Winter Solstice is one of the shortest days of the year, and typically takes place around December 22nd. The word Carol’s literal definition is to dance or sing a song of praise and joy! 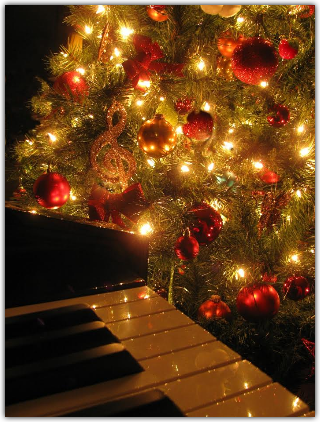 Music in itself soon became one of the greatest tributes to Christmas and the holiday season, and the music started to include some of the noblest compositions of great musicians. If you have any interest in wishing to pursue music, please do not hesitate to contact us here at Superior Academy of Music. Happy holidays from us to you!